Following the fireflies in the darkness. A numerous amount of games take inspirations from older titles to hopefully take their own spin on the idea and create something fresh and innovative that would be loved by many. 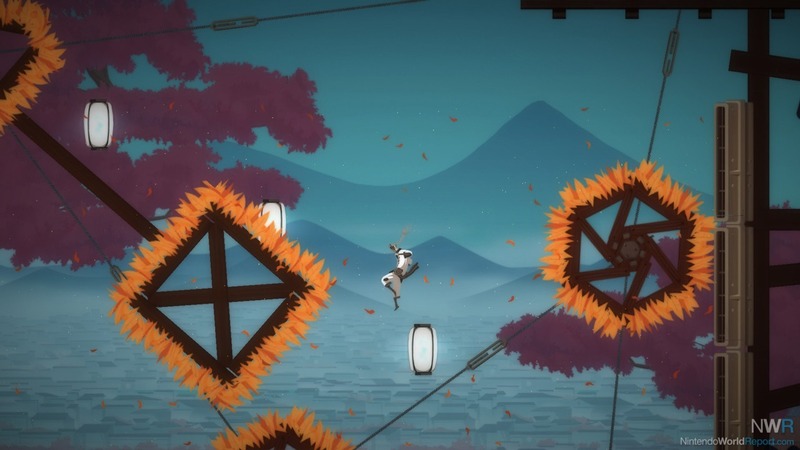 Shio is one such game that claims to take much inspiration from Super Meat Boy. 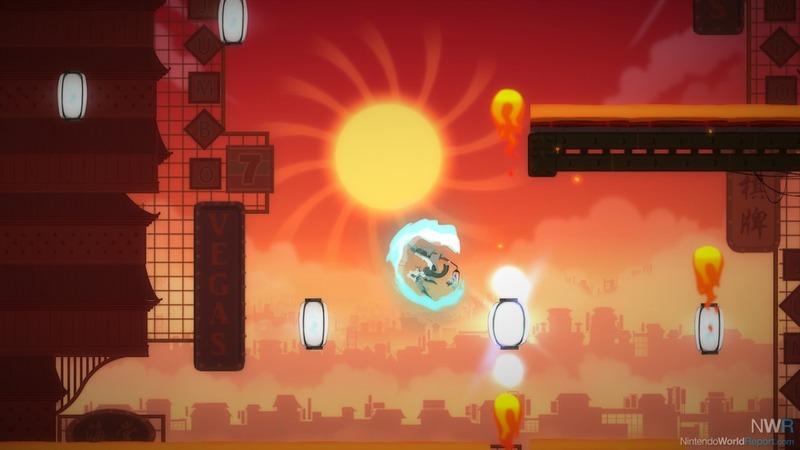 While it may take some positive features from the well-known platformer, a few problems drag it down from being on the same level as Super Meat Boy and its ilk. The story opens up with a silent masked protagonist who is given the task of lighting the lanterns they encounter along their path. 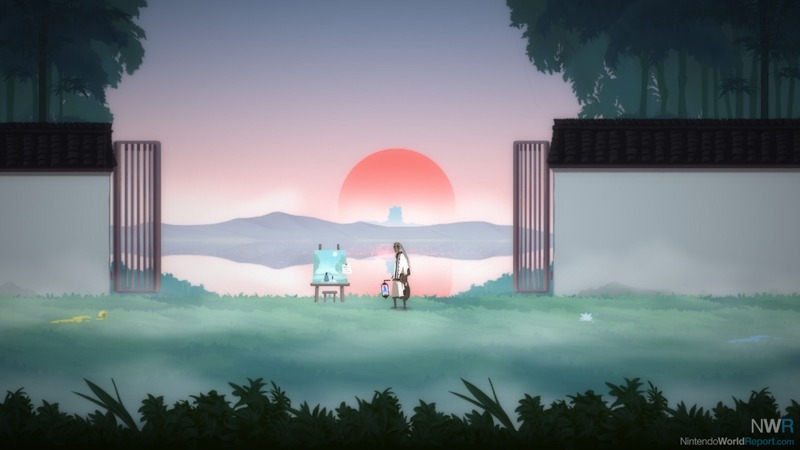 However, under this simple task lies a complicated and sorrowful tale that reveals small portions of itself through cryptic messages as the player progresses through each chapter. The player is given the option of playing through on either a normal mode or a hard mode that offers more challenging segments and further information on the story. Four chapters make up the story, with each one filled with various areas littered with environmental traps and hazards that can instantly kill the player. As the player progresses through the chapter, new mechanics are introduced that they must quickly master if they plan to make any progress. As the player progresses, they can find small collectibles hidden in each chapter that help explain the hidden story in Shio. The music and artwork definitely help with setting the mood for the adventure and balancing the frustration of so many deaths. The use of a traditional Japanese art style accompanied by a calm and peaceful music have definitely been a huge help with preventing me from flinging my Switch out the window after dying for the hundredth time. As I progressed through each chapter, one of the main issues I encountered was the numerous bugs in the area's hazards. The most common one I would find is bottom spikes or kill barriers not working allowing the player to either breeze through certain areas or fall endlessly through a wall. The other issue I had was the shockingly short amount of time it took to complete only requiring roughly three or four hours to reach the end. Overall, while the game doesn’t quite live up to the game it was inspired by, it does have its own merits and reasons to play through it. If you’re a fan of challenging platformers, then I’d definitely recommend giving this on a shot and suggest keeping a few spare Joy-Con at hand to replace any you may break in frustration.